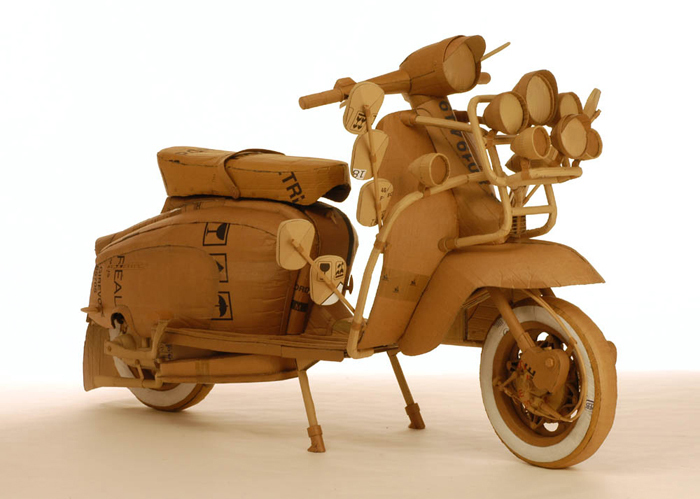 Well, after a couple of posts about wooden Vespa’s… I thought it was time for a cardboard Lambretta! It’s kind of hard to believe, but this beauty is made out of two things only. 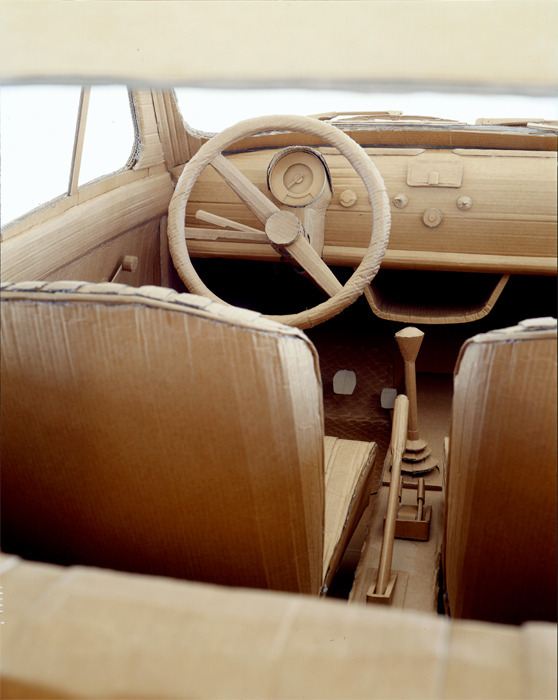 Cardboard and glue. And that’s it. 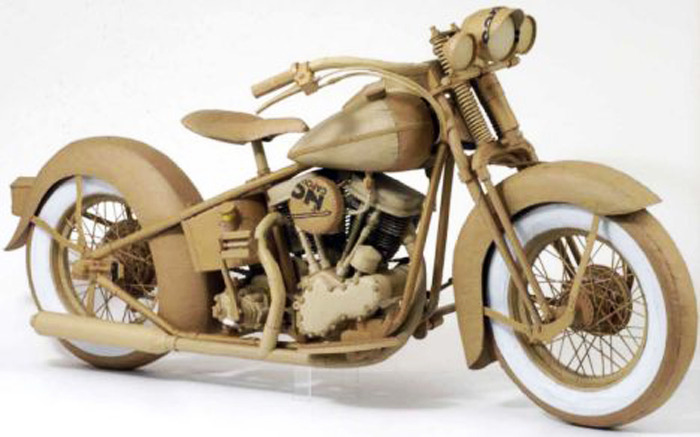 No wooden frame. No hidden supporting metal structure. 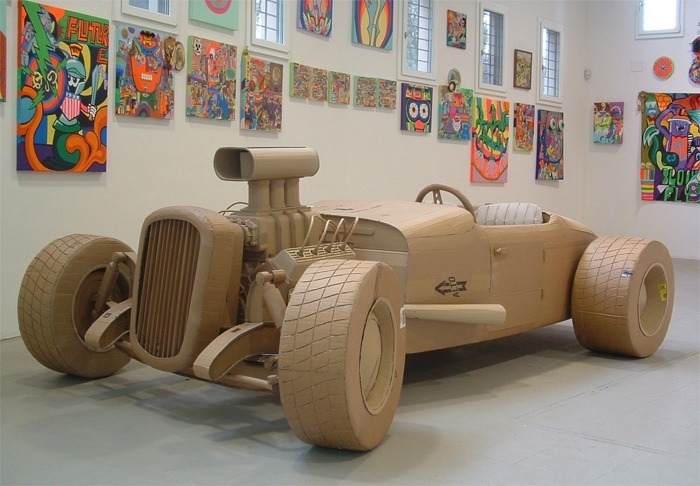 It’s one of the self imposed restrictions artist Chris Gilmour adheres to when creating his art. And it art, of the highest quality in my opinion. 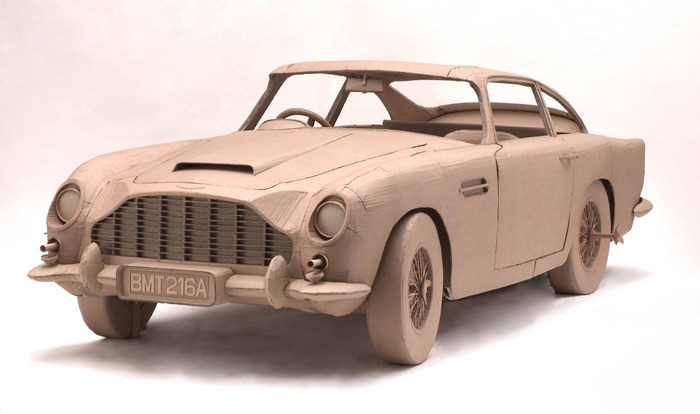 There’s something about taking cardboard, that humblest of materials, so often overlooked and discarded and creating something beautiful. 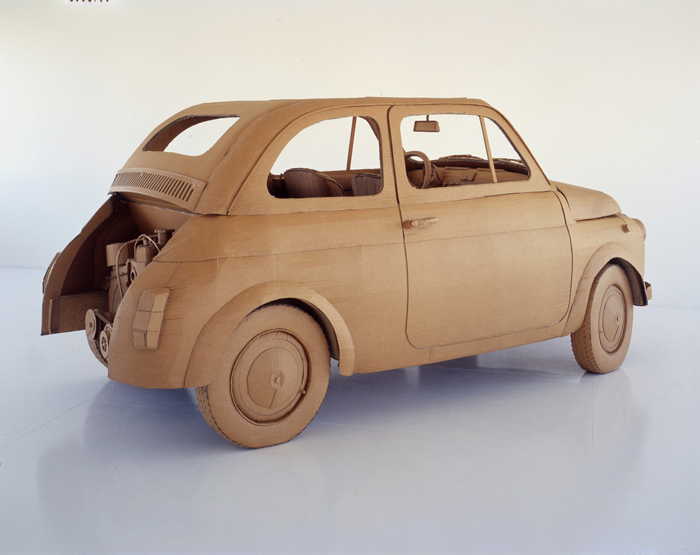 Something that makes you look afresh at the original objects too. I don’t know if I’ve got Chris’s vision… but that’s my personal take. 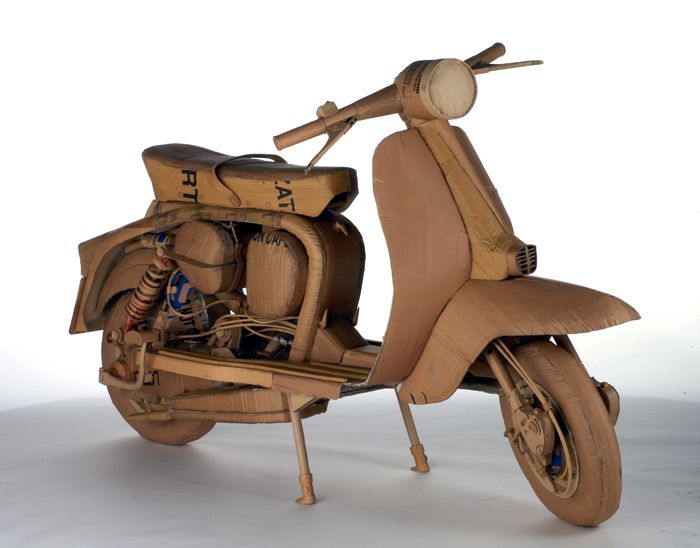 And it’s not just scooters and other vehicles (although they are my favourites) … Chris has created everything from wheelchairs to typewriters… microscopes to lifesize sculptures of Queen Victoria. Amazing stuff. Find out more on his website. 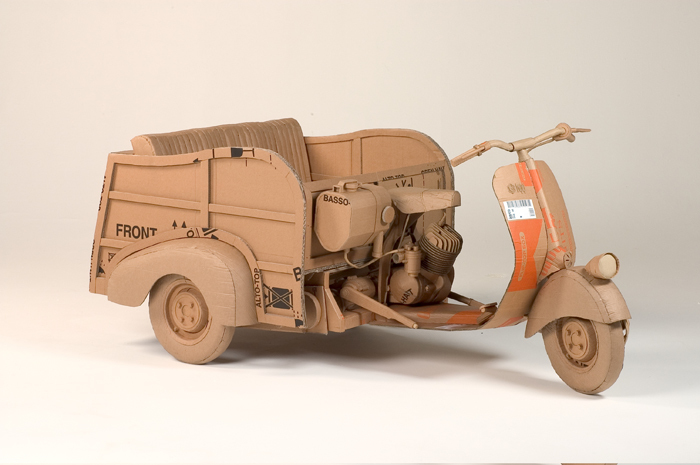 This entry was posted in Not a Lambretta, Scooters, Uncategorized and tagged art, Cardboard, Chris Gilmour, Design, Fine art, scooter, sculpture, Vespa by crocodilejock. Bookmark the permalink. Reblogged this on Two Bit Scooter Club – Ogden, Utah. Love it! The 2 lamb are particularly well achieved, but there is somethisng strange in the 500…cheers!